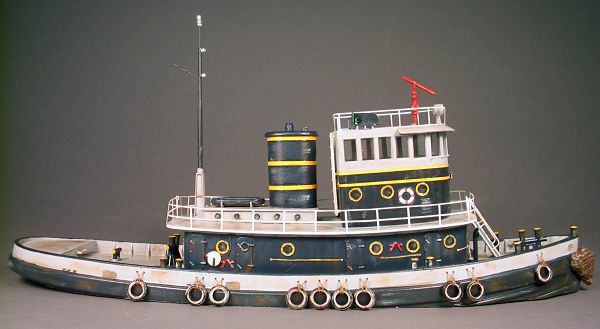 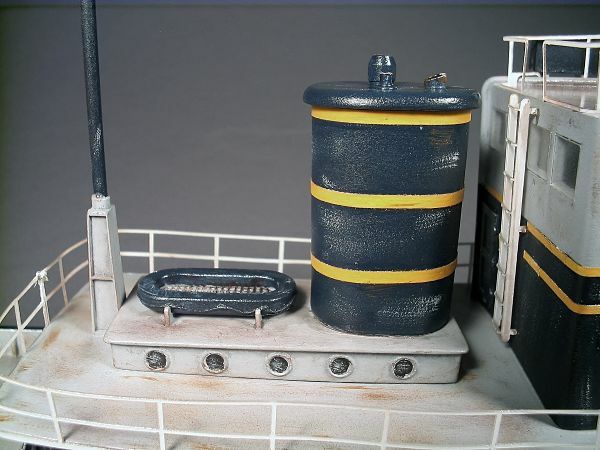 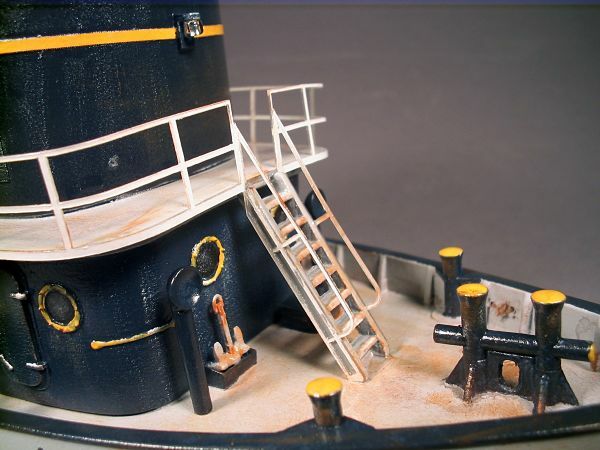 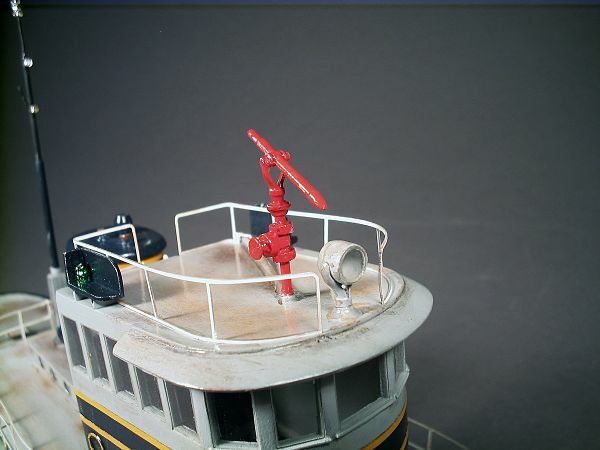 This beautiful kit is based on a 92' 9" Diesel Railroad Tug Boat built around 1953. 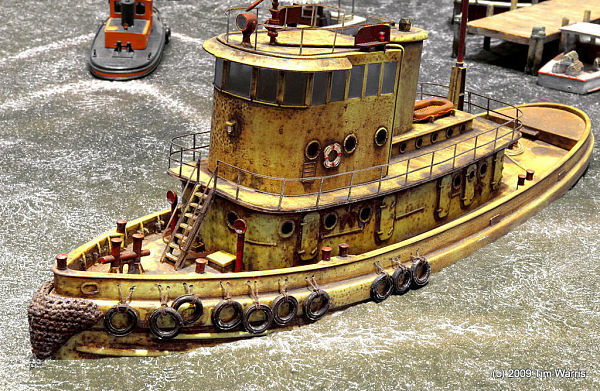 These tugs were indispensable to the rail-marine industry towing carfloats and station floats out to ships, piers and across the harbors and coastal waterways of the United States. 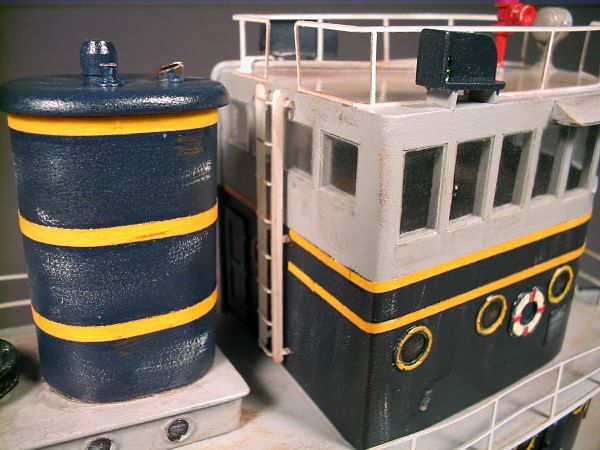 They also transferred loaded carfloats from one side of harbors to the other as an extension of rail lines crossing waterways. 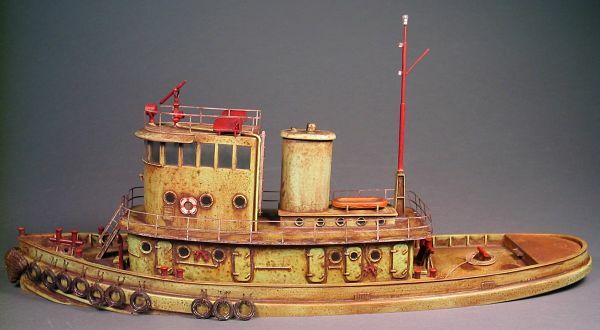 The tall wheelhouse allowed the ship captain an unobstructed view above carfloats loaded with boxcars.